Accra, Nov. 24, GNA - The Ghana Football Association has announced the postponement of the CAF Confederation Cup matches between Accra Hearts of Oak and Kumasi Asante Kotoko due to security reasons. 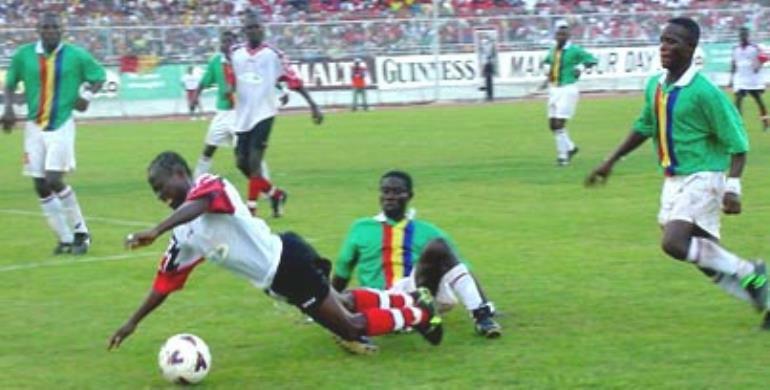 The matches were scheduled for the Accra and Kumasi Sports stadiums on 28th November and 11th December, 2004. A Press Release issued and signed by the General Secretary of the GFA, Mr Kofi Nsiah on Wednesday said new dates would be announced by CAF on Thursday, 25th November 2004. The release it deeply regrets the inconvenience caused by the postponement of the matches.